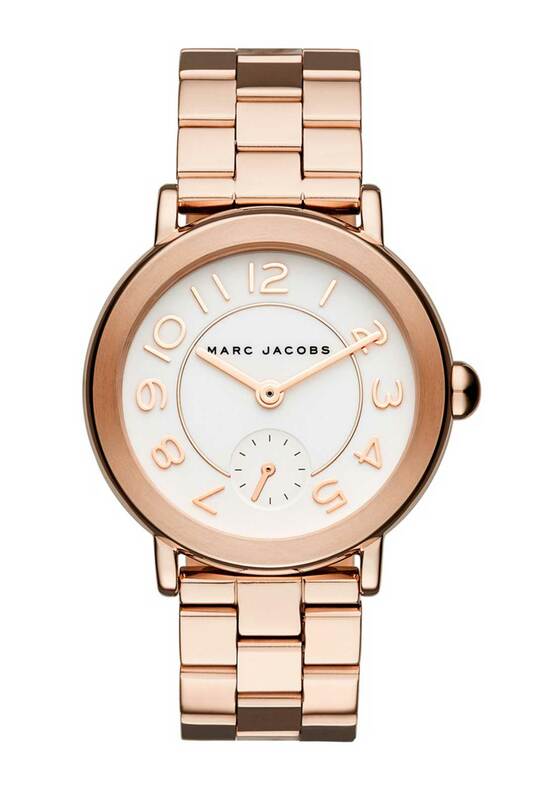 A modern and contemporary timepiece, the rose gold plated Riley watch from Marc Jacobs would be a stylish choice for daytime. Designed with a bracelet style strap and round case. The white face features numerical hour markers, two hands and seconds sub-dial.